I’ve been a big fan of “The Chew” on ABC since the show started last fall. Many times there have been recipes on the show that have caught my interest but never have I gone to their website to print…until I saw chef Michael Symon make this one. Something about it spoke to me and I simply knew I had to make it right away! The results were beyond delicious and quite a feast for the eyes as well. 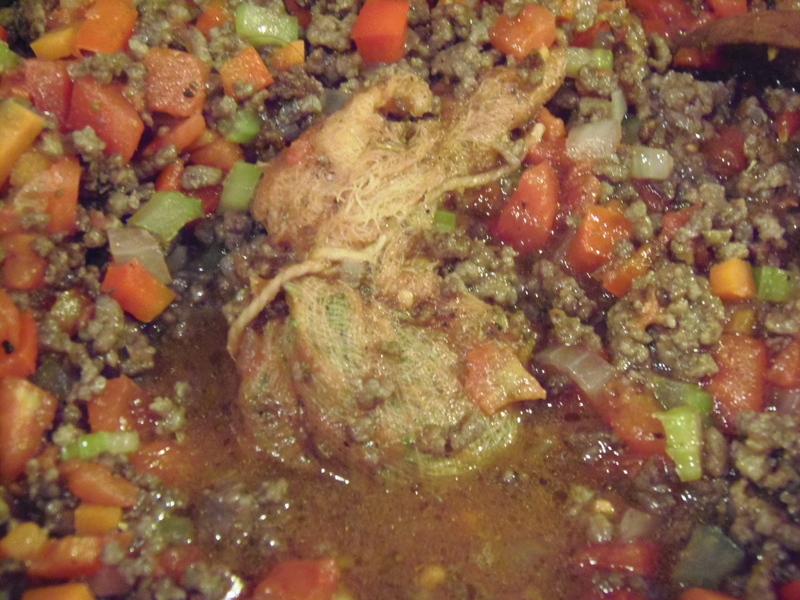 Here is my take on chef Michale Symon’s family classic recipe. -In a large Dutch oven, on high heat and in two batches, brown the ground beef until it becomes a deep, dark brown. Season with salt and pepper. Drain well and remove the meat to another platter. 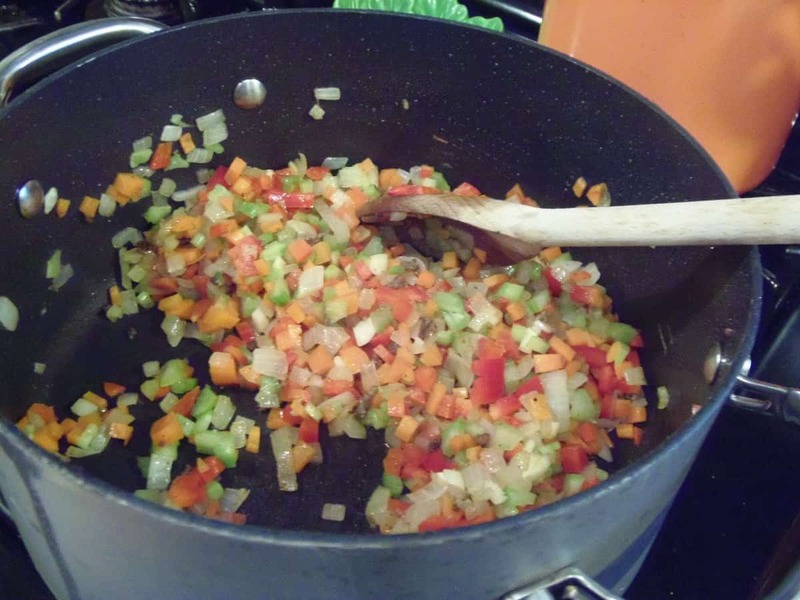 -In the same skillet, add your onion, garlic, carrots, celery and red pepper. Season with salt and pepper. Saute the veggies for 3-5 minutes until they become slightly soft and translucent. 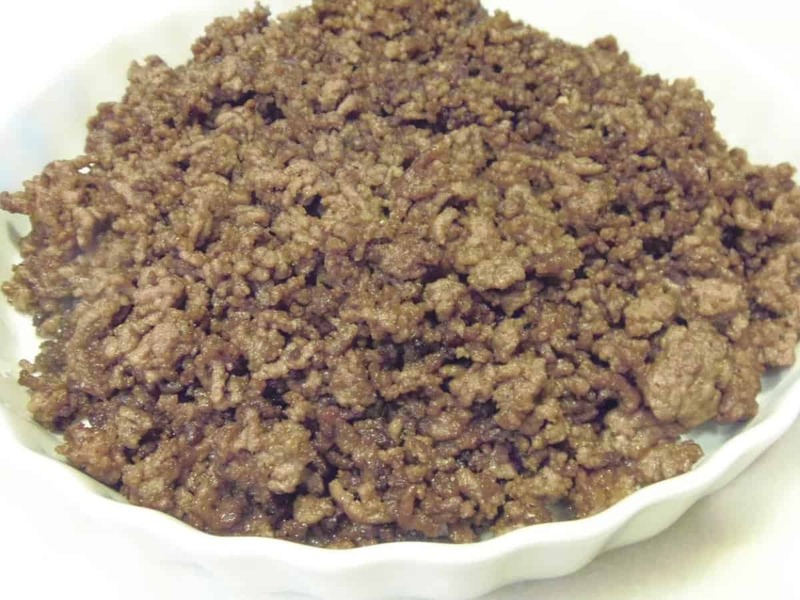 -Add one cup of the wine and make sure you scrape off any brown bits that there may be on the bottom of the pan after the browning of the meat. Add the bay leaves and reduce your heat to medium low. 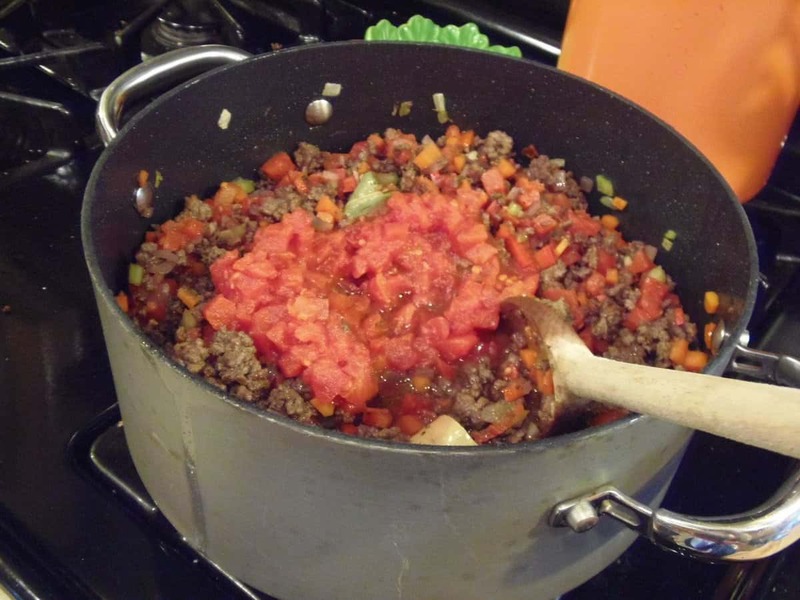 -Add the canned tomatoes and the browned ground beef back to the pot. Stir well to combine. -Meanwhile, add 3-4 fresh thyme leaves to some cheese cloth and make a little packet with it by tying it up with some cooking string (this makes it easier to retrieve the herbs before serving). Add the thyme packet and the crushed oregano to the pot. 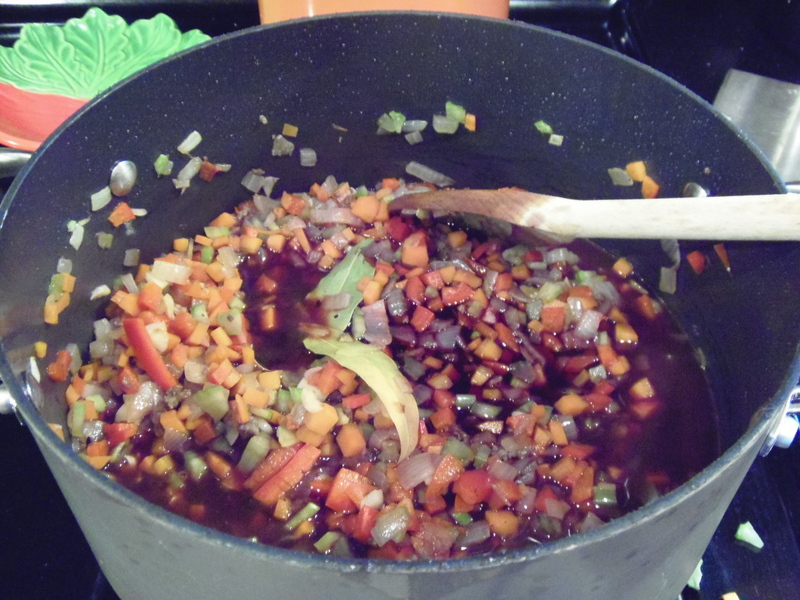 -Allow your sauce to simmer on a low heat for approximately 1 hour (more or less) and during that time, add more red wine if the sauce starts to becomes too dry. You want enough liquid to be left so that your pasta can absorb some of it’s goodness when you combine the two. Remove the bay leaves, thyme packet and add the butter… Happy! -Meanwhile bring a large pot of salted water to a boil and cook your pasta according to the package directions until just shy of the cooking time stated on the box. Drain and immediately add the pasta to the sauce, stirring well to combine. 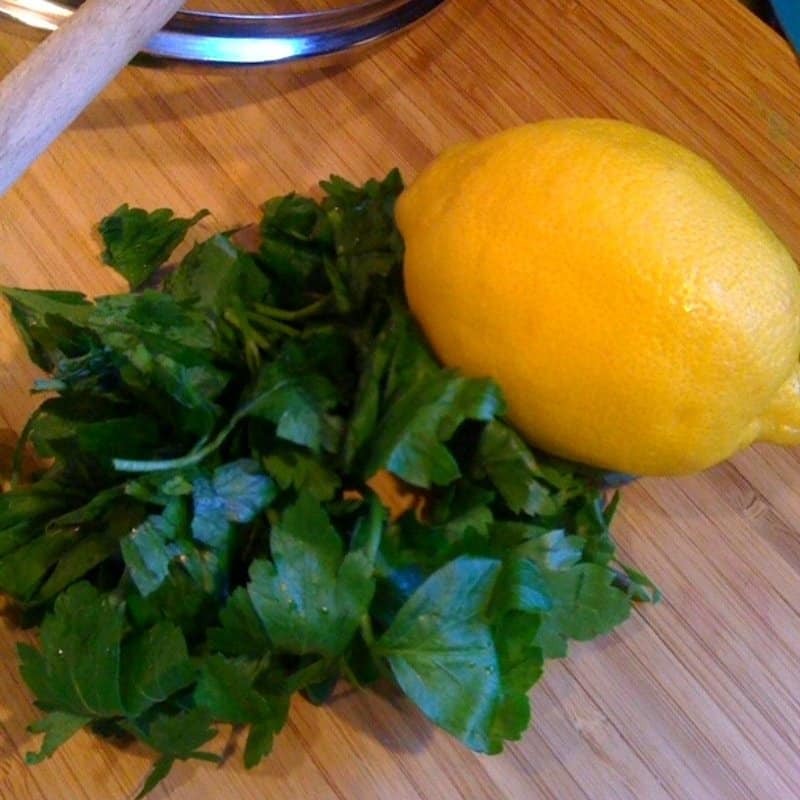 -Top the pasta with the chopped fresh parsley, lemon zest and Parmesan cheese. -Serve to your anxiously awaiting family. 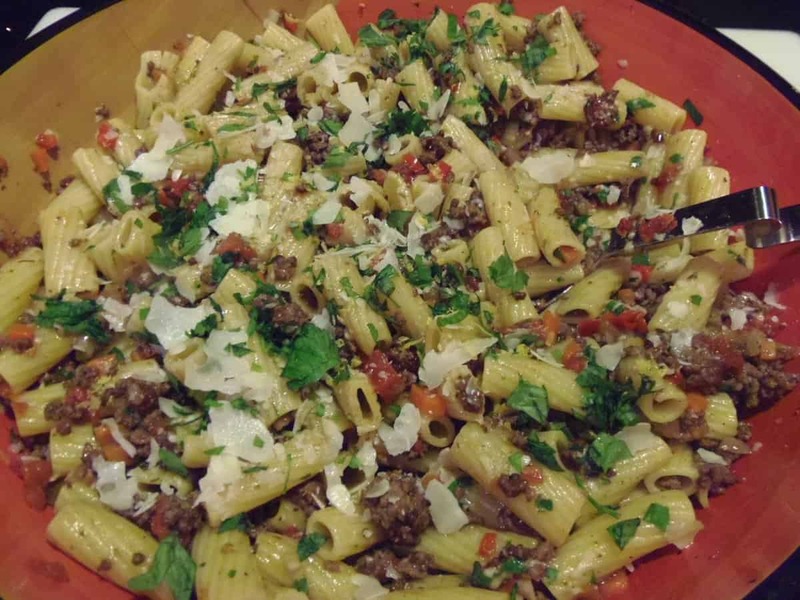 Have your wait staff at the ready so they can assist in the serving of this amazing pasta dish and call your family to the table! That sounds AMAZING, Renee! I love Michael Symon, too! I always forget to watch The Chew, but I should watch…I am a huge fan of Clinton Kelly! I had never heard about the show but this dish looks great! If only you had posted this recipe two days ago I would have made it for my bday party, it looks great!! I haven't seen the show but this recipe from it looks amazing. Perhaps I should start watching it. Wonderful dish Renee. Bridget, I remember reading on twitter about how much you love Clinton Kelly. You'd especially love him on this show. He's a riot. So funny. He keeps me laughing throughout the hour. Actually all the hosts are great. You can tell that they really are wonderful friends. 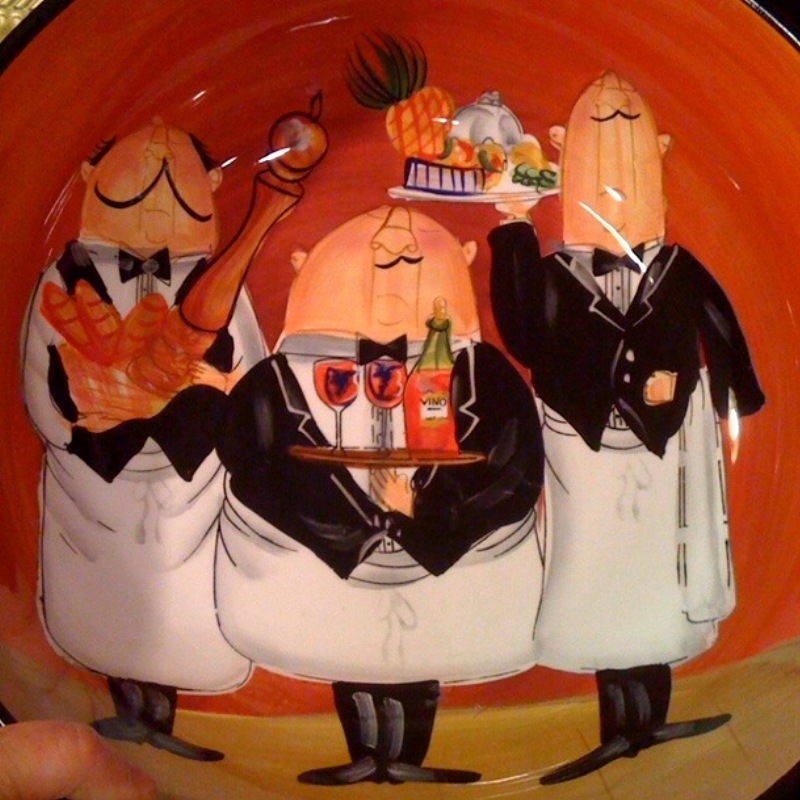 Mario Batali is also a scream. So funny!